God reigns! Earth rejoices! Oceans shout God's might! Stanza 1 expresses the message of Psalms 96-100. When stanza 1 speaks of the fact that ”God will dwell among us”, we hear reference to Immanuel from Isaiah 7:14 and Matthew 1:20-23. Stanza 2 speaks of the day when “mountains will shake and worthless idols will fall”. See Matthew 24:26-31, Luke 21:20-28, and II Peter 3:10-13. “Former lamentations now are songs of peace,” stanza 3 of the song says. This hopeful joy in Christ’s coming is found in Our Song of Hope, stanza 1: “God is the world’s true Hope,” and therefore “we are a people of hope” (stanza 1), “Jesus Christ is the hope of God’s world” (stanza 4), and it even makes clear that “our ascended Lord gives hope for two ages”—in the age to come and in this age (stanza 5). we have seen your power, justice, and love revealed in your Son, our Redeemer. when all the earth will see your glory. Amen. we humbly offer our praise to you. like the coming of the dawn. will fully come in grace and truth. Amen. 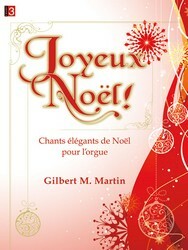 The association of the tune NOËL NOUVELET with both Christmas (“Sing We Now of Christmas”) and Easter (“Now the Green Blade Rises”) might aid congregations to pick up on the connections of this psalm with these particularly festive seasons. Martin Tel asked me to write a new setting of Psalm 97, combining the Old Testament imagery with some strong allusions to the Advent and Christmas anticipation and joy we have as New Testament Christians. Michael Morgan (b. 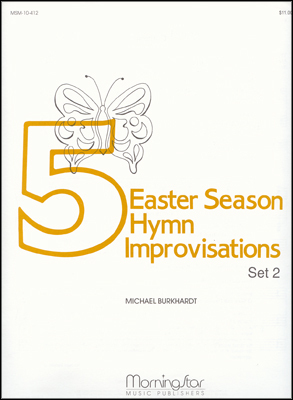 1948) is a church musician, Psalm scholar, and collector of English Bibles and Psalters from Atlanta, Georgia. After almost 40 years, he now serves as Organist Emeritus for Atlanta’s historic Central Presbyterian Church, and as Seminary Musician at Columbia Theological Seminary. He holds degrees from Florida State University and Atlanta University, and did post-graduate study with composer Richard Purvis in San Francisco. He has played recitals, worship services, and master classes across the U. S., and in England, France, Spain, Switzerland, and Germany. He is author of the Psalter for Christian Worship , and a regular contributor in the field of psalmody (most recently to the Reformed collections Psalms for All Seasons and Lift Up Your Hearts, and the new Presbyterian hymnal, Glory to God).